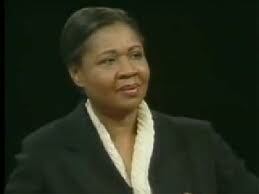 We end Jamaica Kincaid Week with a story that aligns nicely with the story that opened the week. Just like “Girl” listed out a set of rules, “The Letter From Home” details – in a one, very long sentence, no less – a list of accomplished activities; chores really. It is almost as if the narrator in “Girl” has listened to the list of expectations and now is turning around and showing how she has acted in accordance to those rules. Both stories mix the mundane with the extraordinary. Here, milking the cows is on the same list as bearing children. Both stories also generate a mounting sense of pressure. The narrator in “Letter” seems to be watching their life map out in front of them with very little in the way of control. It’s an exhausting read. And that’s quite a trick on Kincaid’s part.